46 photos of the 'Riot of Steam' held in 2005 to mark the 175th anniversary of the opening of the Liverpool & Manchester Rly, the world's first inter-city railway. 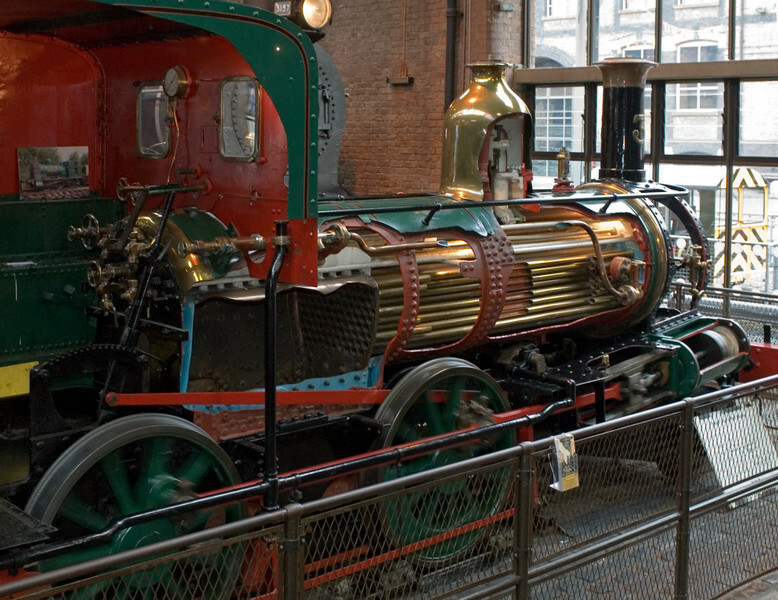 It was attended by modern replicas of three locos which took part in the Rainhill trials held by the L & M in 1829 - Novelty, Sans Pareil and the Stephensons' victorious Rocket. Also present was the replica of Planet built by the Stephensons for the L & M in 1830, as well as the original L & M 0-4-2 Lion built in 1838. I have also included photos of the locos on permanent display in the museum. They were all built in or near Manchester, and include a mighty South African GL Garratt (3ft 6in gauge, 211 tons!). Isle of Man Rly No 3 Pender, Manchester Museum of Science & Industry, 15 September 2005 2.